This thick, rich cleanser works particularly well on acne and/or sensitive skin. SOS™ Gentle Cleanser's rich yet soothing formula includes botanicals such as calming Aloe Vera Gel, anti-inflammatory Ivy, emollient Slippery Elm and soothing Jojoba Oil. 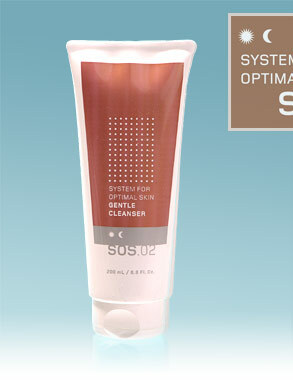 In addition, Provitamin B5 pacifies the skin while preparing it for the next steps of the SOS™ Skin Correction System. Website designed and maintained by AMG Media Works Inc.